Every Tuesday, Italian local Emiko Davies is taking us on a grand tour of Italy, showing us how to make classic, fiercely regional dishes at home. Today: Stuff artichokes with the humble heavy-hitters capers and anchovies and you'll end up with an anything-but-boring side dish. Stuffed artichokes—like anything else stuffable, from seafood like calamari and mussels, to whole poultry, to every vegetable imaginable—come in all forms in Italy. 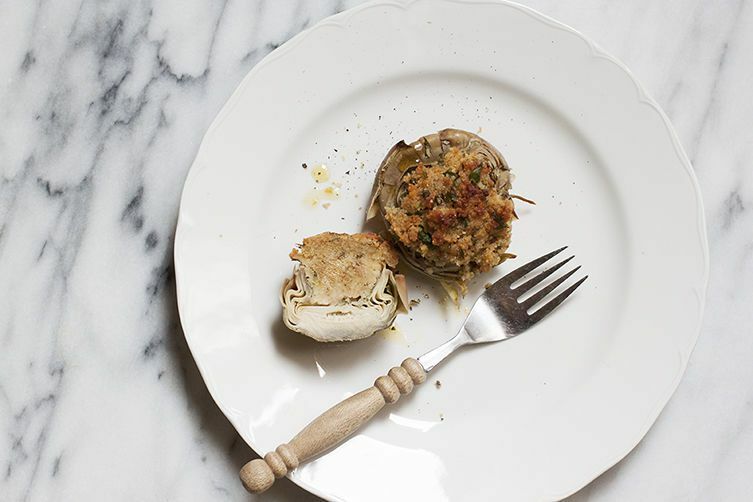 Artichokes and other stuffed vegetables are a popular side dish that can sometimes turn into the main dish, especially when made more substantial by stuffing with minced meat or rice. More: Italians even stuff olives. 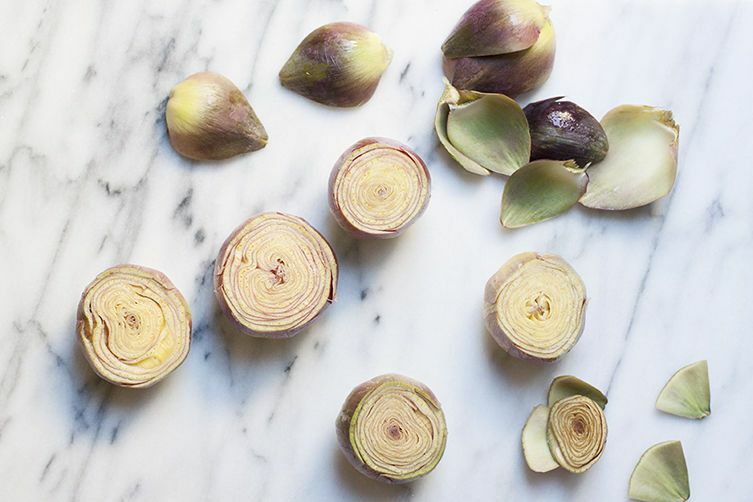 In Tuscany, artichokes can be stuffed with a filling as simple as pancetta, onion, celery leaves, and parsley, then braised on the stovetop in some water and white wine. In Liguria, they don't waste the artichoke stalks: They are cooked, chopped, and mixed with minced meat or sausage, marjoram, Parmesan, and egg for the filling. Sometimes even potato makes its way into the mixture. There are also endless variations of Sicilian-style stuffed artichokes, one of which you see here. Typically the filling is a mixture of breadcrumbs (toasted in some garlic-infused oil) and the salty tang of both anchovies and capers, making for a rather hearty and tasty artichoke. 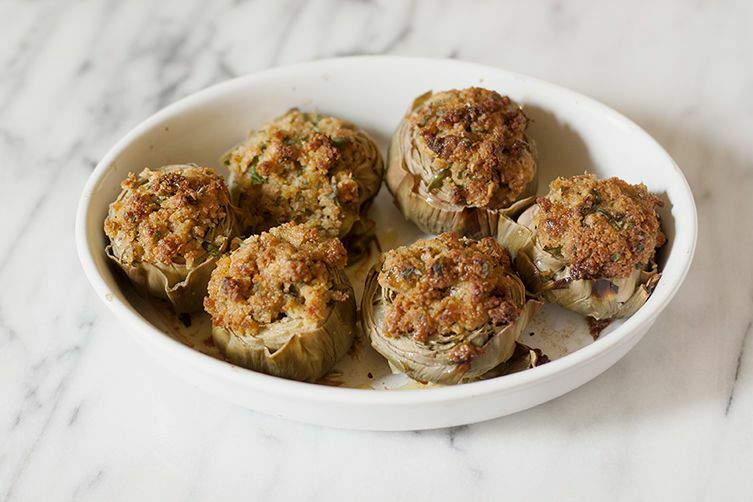 The artichoke is usually baked and the filling can be made with or without egg to bind—with it, you get a soft, compact filling and without it, a crumbly, crunchy topping. Sometimes you'll also find it with pieces of caciocavallo cheese in the filling, making it bubbly and melty. In Sicily, this dish would be prepared with the flowery, tasty capers packed in sea salt from Pantelleria, an idyllic Sicilian island near Tunisia where the world’s best capers are produced. For the closest result to the original Sicilian dish, get your hands on anchovies and capers that are packed in salt rather than oil or brine. The flavor is far superior even if the anchovies and capers will require a little extra attention: Both need to be soaked and rinsed in cold water very well to ensure you don't over salt the dish, and the anchovies need their backbones removed. With such a simple dish made of relatively little (breadcrumbs make up the bulk of this filling), the flavor of the capers and anchovies is what will make all the difference. More: What do to with your leftover capers.